McCormick Place opens its newest Skyline view bar, Vu Rooftop bar. 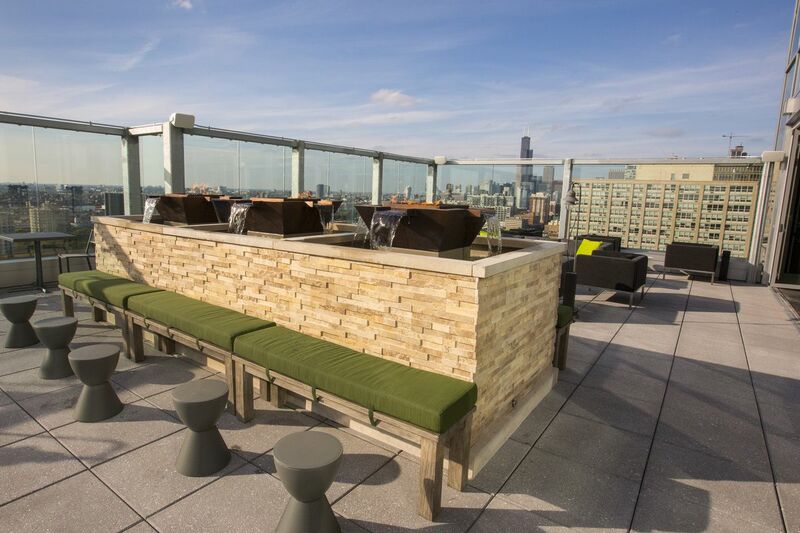 Vu Rooftop Bar is a sleek 13,000 square foot space, perfect for convention goers, Bears fans and locals. The outdoor deck features multiple televisions, fire pits and comfy Chicago lounge seating. Decorating the interior is a mural and 100 foot video wall. Chef Nolan Narut, last seen at Stefani Prime in Lincolnwood, is the lead chef.